Since 1923, Schram Auto Parts has been committed to delivering you, our valued customer, only the highest quality used auto parts. We offer quality service and great prices. 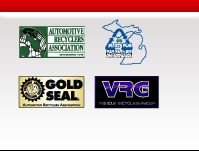 Schram Auto & Truck Parts is a member of the Automotive Recyclers Associations Gold Seal Program (therefore adhering to the highest standards of quality and integrity) of the Automotive Recycling Industry. All parts have been carefully inspected to assure you the quality that you expect by placing your confidence in Schram Auto & Truck Parts. Like a new component, a Certified Mechanic should install your Schram Auto Parts replacement part. It should be maintained with quality lubricant at regular intervals to assure a long and useful life. We recommend that the guidelines of the Manufacture for lubricant, coolant and filter changes be followed. Call us. We'll make sure your problem is addressed immediately and tell you what to do next. Yes. After you have contacted us, we'll be glad to work with them. If you don't have a preferred shop, we can refer you to one in our network of quality certified repair centers. We make every effort to pay the shop directly so you keep your money in your pocket. 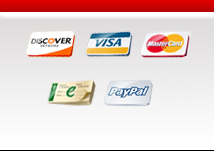 If you choose a shop that won't accept direct payment, we'll reimburse you promptly. Call us or visit us online, we will be happy to go over all the details. Upon the date of purchase as stated on the invoice, your warranty coverage begins. Coverage expires after the specified time or mileage has exceeded. Warranty coverage is intended for cars, light duty and ¾ ton trucks and below. Commercial vehicles are excluded from coverage. Our warranties are valid for vehicles that have original manufactured parts and have not been modified in any way that it would affect the supplied components. We have three plans to better fit your needs of coverage. Defect parts purchased from Schram Auto Parts will be replaced or refunded. Lubricants and coolants will be paid at a maximum of $35. Charges for diagnostic purposes will be covered that are relevant to the repair or claim. Labor rates for removal and replacement of the covered parts will be based on the nationally published labor guide and are paid by the hour only. Additional gaskets, seals and/or sealants required for the repair will also be covered. Towing and rental fees will be paid when necessary (see rental details). Towing coverage will be paid up to $100 of actual towing cost per repair visit and requires receipt/invoice from towing company. Rental Details Schram Auto Parts will cover rental cost for up to 10 days (24 hour period) at a maximum of $35 per day when necessary. Rental coverage is based on one day for each eight labor hours needed for the repair/replacement. We will cover rental for transit time of our replacement part(s) from our facility to the repair shop. However, delays caused on behalf of the repair shop for any reason such as failure to schedule vehicle for repair and waiting on inspection, will NOT be covered. The end user must have a signed rental agreement in order to receive payment. Subject to the limitations stated in this agreement, Schram Auto Parts (at its election) agrees to reimburse the customer, repair or replace a covered component if the covered component fails as a result of one or more of the internal lubricated parts within the component during the stated warranty period from the date of purchase, while the components is being used under the conditions and in the manner specified by its original manufacturer. ENGINE: Engine long block assembly, including all internal lubricated parts i.e. rings, pistons, pins, crankshaft and main bearings, the connecting rods, rod bearings, camshaft bearings, timing chain gears, rocker arms, valve springs, valve seats, valve push rods, valve lifters and oil pumps. Additionally, the engine head(s), engine block and cylinder barrels will be covered if they are damaged solely as a result of the mechanical failure of one or more of the internal lubricated components specified above. The cooling system must be flushed and in good working order including but not limited to electrical components of all types (distributors, alternator, all sensors and electrical control devices), fuel systems, (including fuel injections systems, fuel pump), water pump, thermostat, soft plugs, manifolds, oil pan and valve covers, pollution controls, gaskets, seals, filters, mounts, linkages and fluids are not covered by this agreement. TRANSFER CASE: All internal lubricated parts contained within the transfer case. The transfer case itself will be covered if damaged solely as a result of the mechanical failure of one or more of the internal lubricated components contained within the transfer case. Integral Transmissions must be flushed including all lines, coolers and all filters replaced. Accessory items, including but not limited to, drive chains, U-joint, electrical components, linkage, seals, gaskets, mounts or fluids are not covered by this agreement. DIFFERENTIAL: All internal lubricated parts contained within the drive axle housing case. The drive axle housing itself if damaged solely as a result of the mechanical failure of one or more of the internal lubricated components contained in the drive axle housing. Accessory items, including but not limited to, backing plates, all brake system components, cables, controls, linkages, vents pumps, U-joints, electrical controls, mounts, seals, gaskets, or fluids are not covered by this agreement. TRANSMISSION: (Automotive or Standard) All internal lubricated parts contained within the transmission case. The transmission case itself if damaged solely as a result of mechanical failure of one or more of the internal components contained within the transmission case. The complete hydraulic system must be flushed including integral transfer case, oil cooler, lines and new filter(s) installed. Accessory items, including but not limited to, modulators, governors, electrical controls, linkage, mounts, seals, gaskets or fluids are not covered by this agreement. Schram Auto Parts will pay to remove and replace the component(s) or component part(s) at a State Certified and Licensed Repair Facility per the nationally published rate for such repair not to exceed 2/3 of the published rate. When suspected failure occurs discontinue usage immediately to prevent further damage. Towing will be covered with the purchase of the Gold warranty program and with the towing receipt ($100 maximum). Installation receipts and documentation must be provided. Contact Schram Auto Parts and the installing facility immediately. Verification of preliminary diagnostics should be performed based on complaint/concern but should not be extensive. Customer must approve teardown and diagnosis and once the cause of failure has been determined coverage will be decided. Unauthorized repairs, teardown or diagnosis are not covered. Schram Auto parts will apply coverage of the warrantable parts. We are NOT responsible for misdiagnosis, teardown or repairs for non-covered parts, supplies or fluids. Warranty coverage is transferable one time for a $50 fee. We must receive written request for the transfer within 30 business days of vehicle sale. Failure to notify Schram Auto parts of the transfer will void the warranty. Warranty is valid only when sold on individual to individual sales. Dealers or brokers are not eligible to transfer the warranty. Warranty is void if parts are transferred to a different vehicle than what is was originally purchased for. Proof of Vehicle Identification Number (VIN) and unit number will be used to validate the warranty. Manufacturer recommended maintenance must be performed in a timely manner and corresponding documentation records must be kept. The detailed records must contain the shop’s name, mileage, date, customers’ name, vehicle identification number, and the service received. For self maintained vehicles all receipts for oil, filters and other lubricants must be kept with mileage and date clearly written in ink. All cost associated with maintenance will be the responsibility of the owner/operator of the vehicle. Manufacturer installation guidelines must be followed for removal and installation of all units. Errors from installation, physical damage, and improper startup and break-in procedures will not be covered. Before units are released from service the initial cause of failure must be repaired such as overheating, fuel deliver or any other issues. All engines are primed prior to being shipped or delivered. Transmissions contain no fluids and must be properly filled prior to startup. Before installation of engine check all accessories such as manifolds, fuel injections, oil pan, brackets, water pump, flywheel, sensors, wires, ignition, etc. Change oil, filters and flush remote filters, oil coolers and lines if equipped. It is vital that guidelines for installation are followed in accordance to the note card attached to our units. A complete freight inspection must be performed upon arrival. All damage must be noted at the time of delivery on the bill of lading to validate claim. Every attempt should be made to notify the delivery driver immediately. When describing the damage be as specific as possible. Contact us immediately if damage has occurred in transit. We will assist you in filing a claim with the shipping company or in some cases handle it for you. If damage is too severe and a replacement is available we will send you a different unit. Overload or operating the vehicle outside the guidelines provided by the manufacturer. In the event of a warranty claim misdiagnosis, incorrect repair or servicing, improper installation or break in procedures will not be covered. All repairs without express authorization will not be paid. Warranty is void in the event that Schram Auto Parts has not been paid for the original unit regardless of the situation. 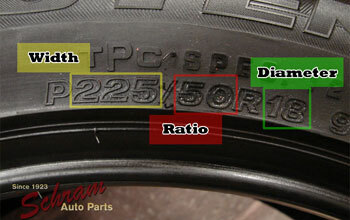 Appropriate Vehicle Identification and pre-installation mileage must be provided before warranty is considered valid. Schram Auto Parts reserves the right to inspect the component(s) or part(s) covered under this Agreement prior to any repair or replacement of or reimbursement for such component(s) is authorized.